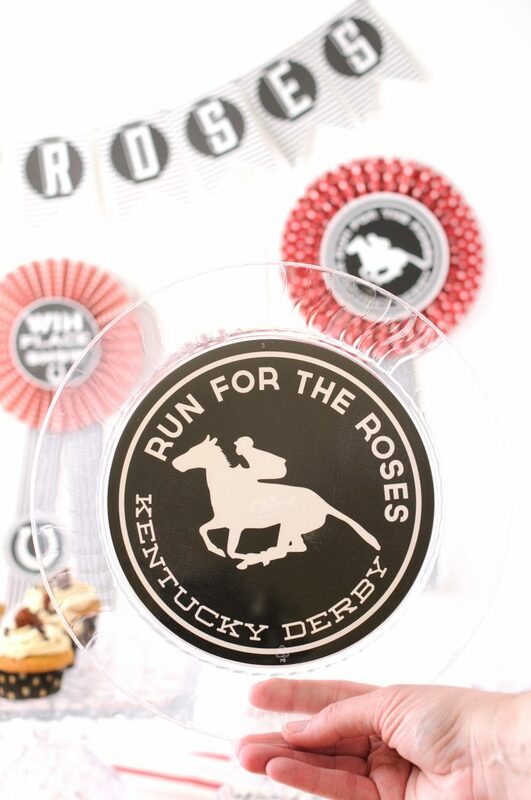 With the weather as cold as it has been it’s hard for me to believe that we are only a few short weeks away from the 1st Saturday in May and with it the running of the Kentucky Derby. 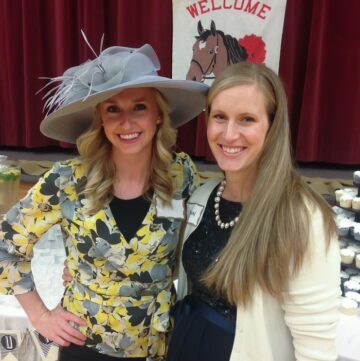 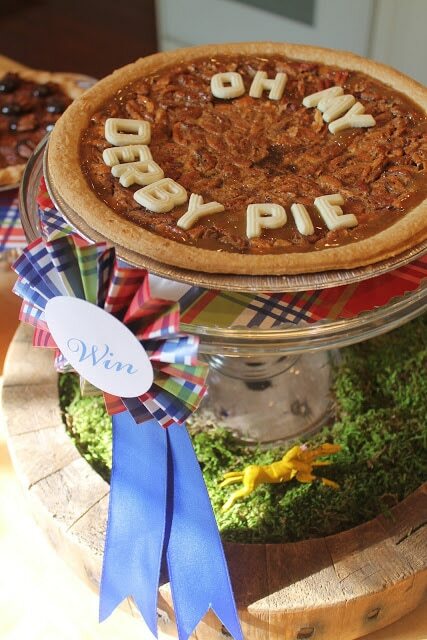 Over the years we’ve thrown quite a few Derby parties. 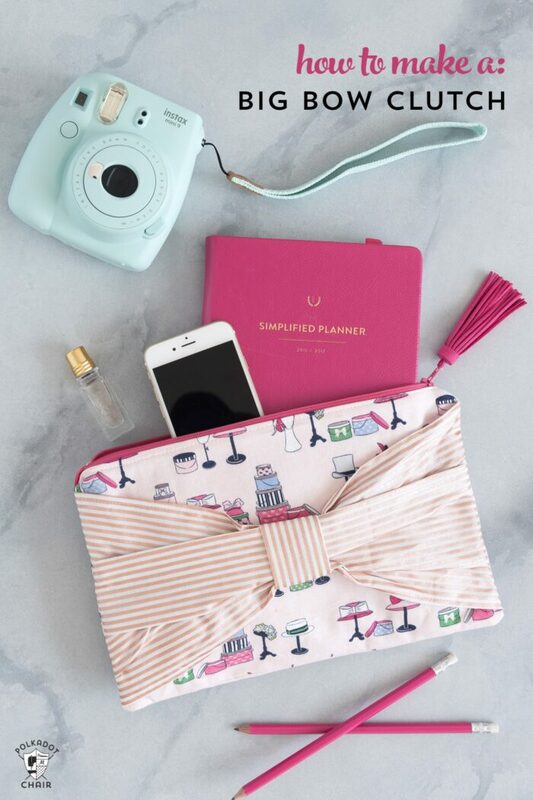 Ours are always low key and family friendly. 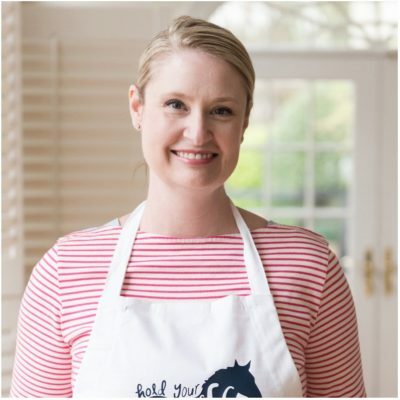 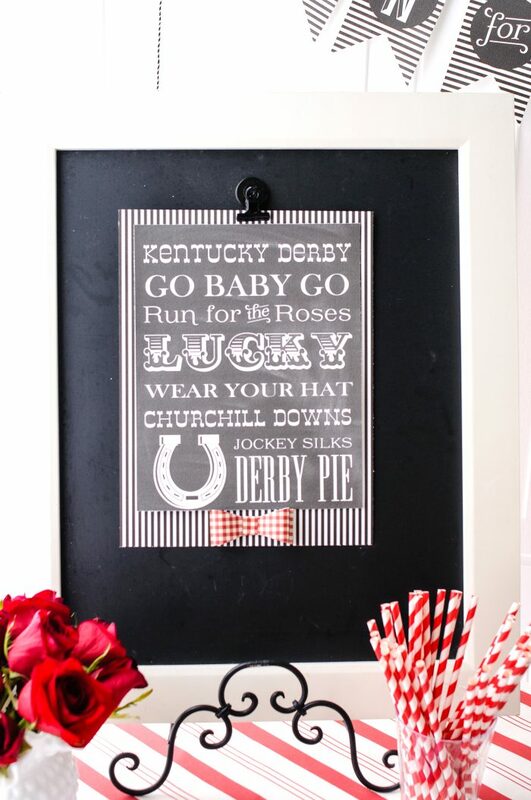 I thought I’d take a minute and share with you some of my favorite Kentucky Derby Party Ideas, many of them are ideas that I’ve shared over the years and few are from other blogs. 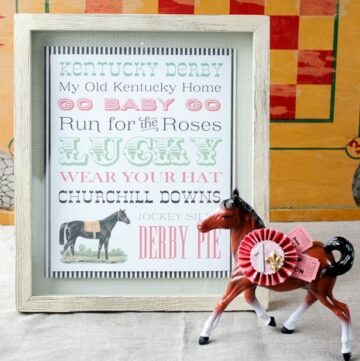 Not sure if I’m throwing a Kentucky Derby Party this year, but I do LOVE the Derby. 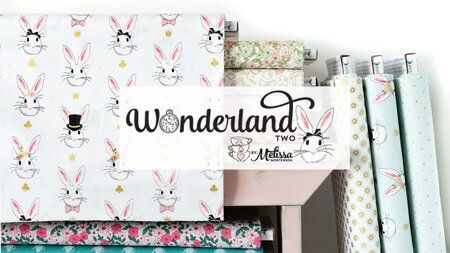 I mean I designed TWO lines of fabric that were inspired by it! 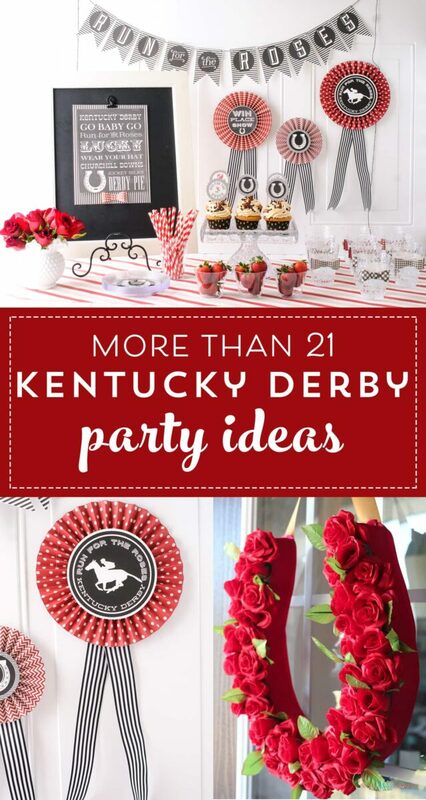 Whatever your plans are or whatever part of the world you are in I hope you find these Kentucky Derby Party Ideas fun and helpful for you! 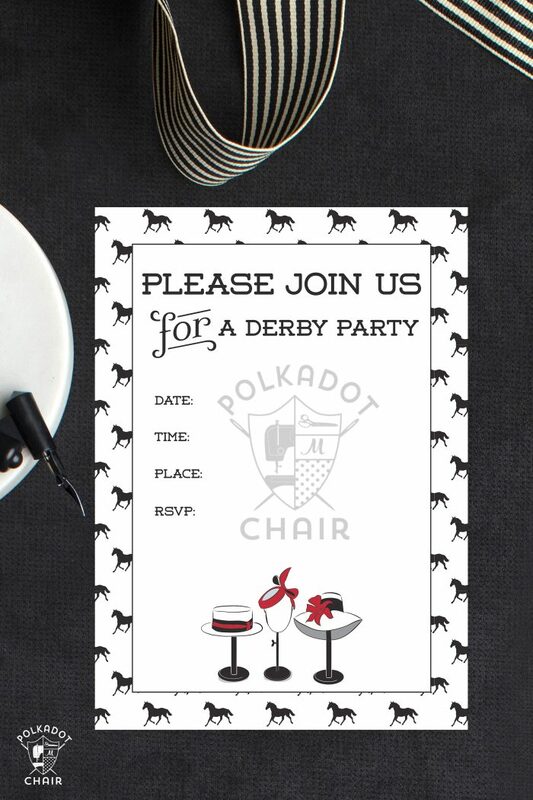 1- Start your party off right with these Derby Party Printable Invitations! 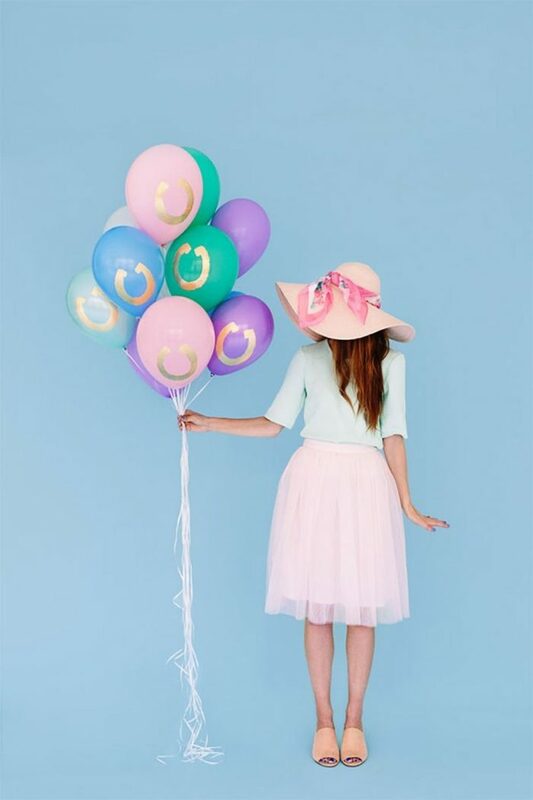 Grab them HERE. 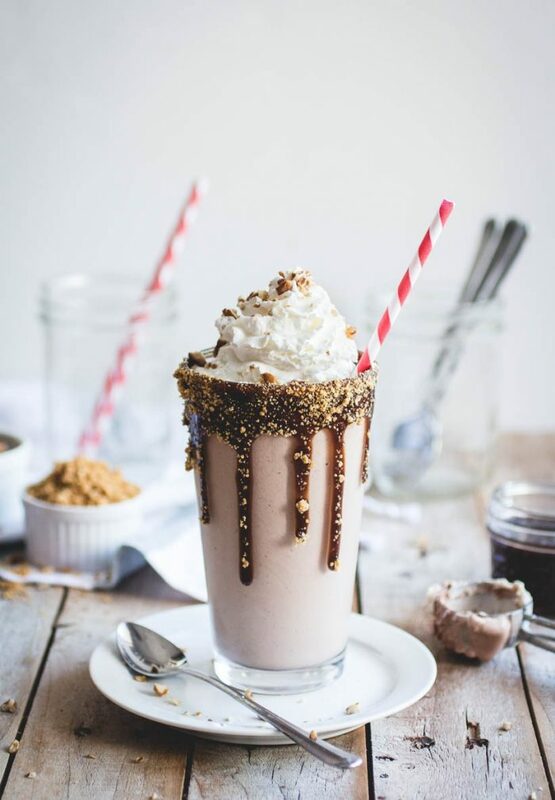 It’s all about the food, isn’t it? 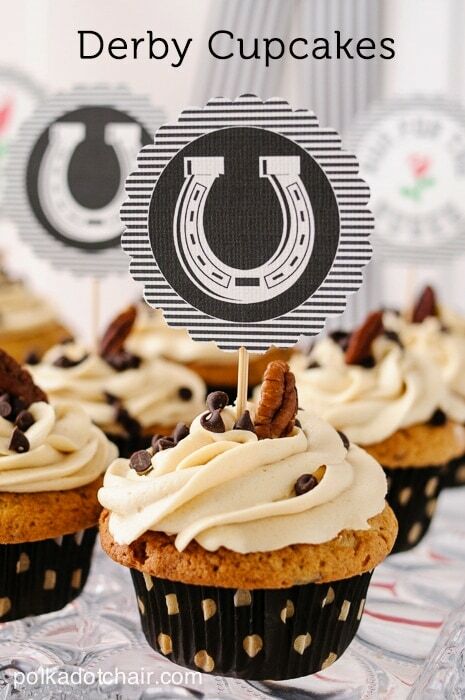 Here are a few ideas of some delicious desserts and appetizers to serve at your Derby Party. 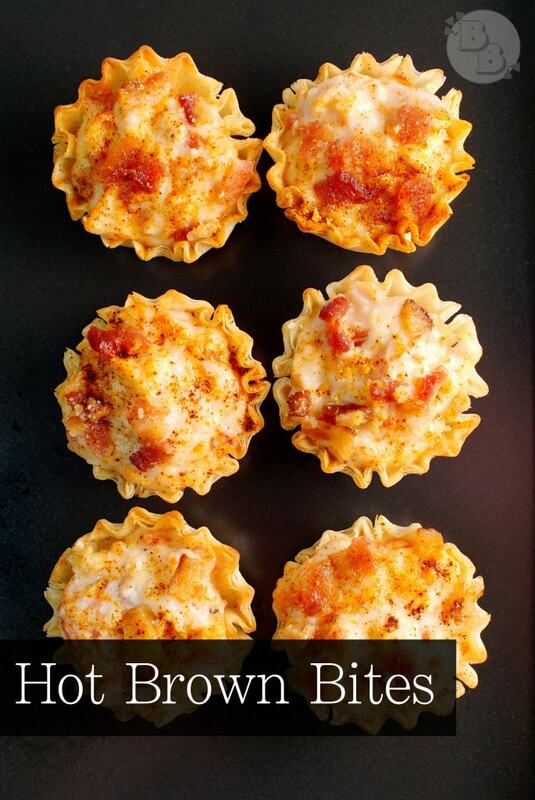 5- These Bite-Sized Hot Brown Bites are a Louisville tradition, and being bite-sized are super easy to serve at a party. 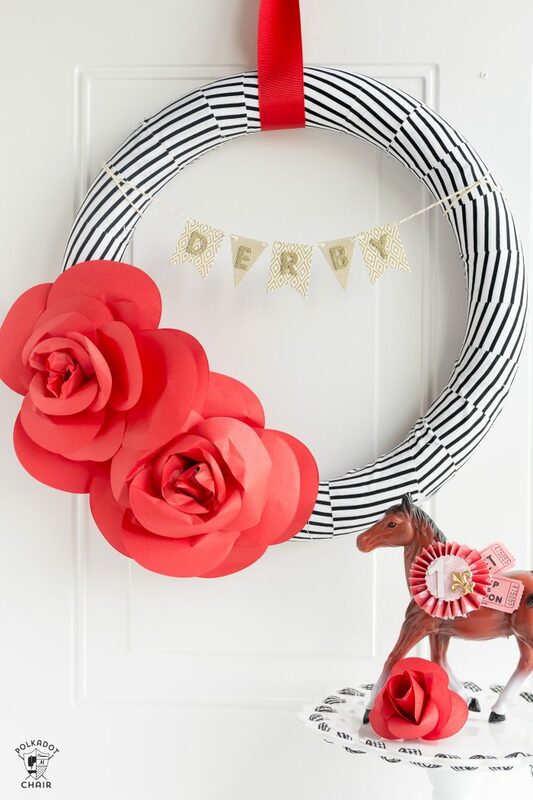 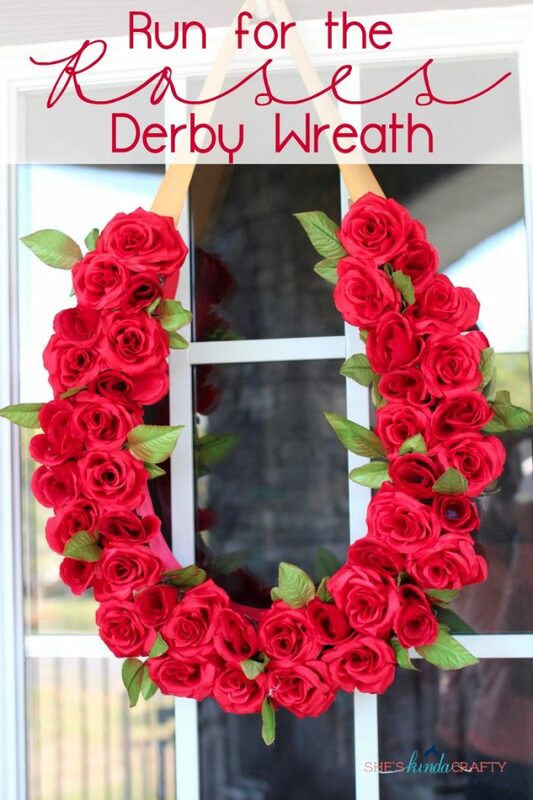 Dress up your home with a bit of Derby Inspired decor! 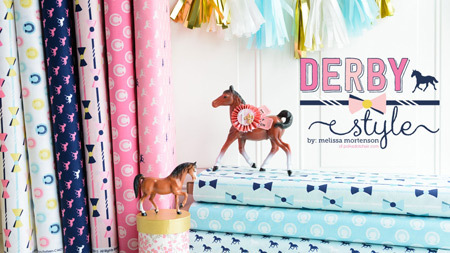 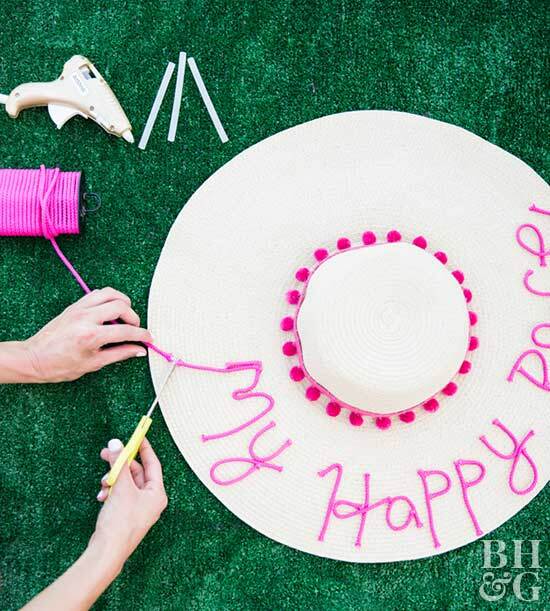 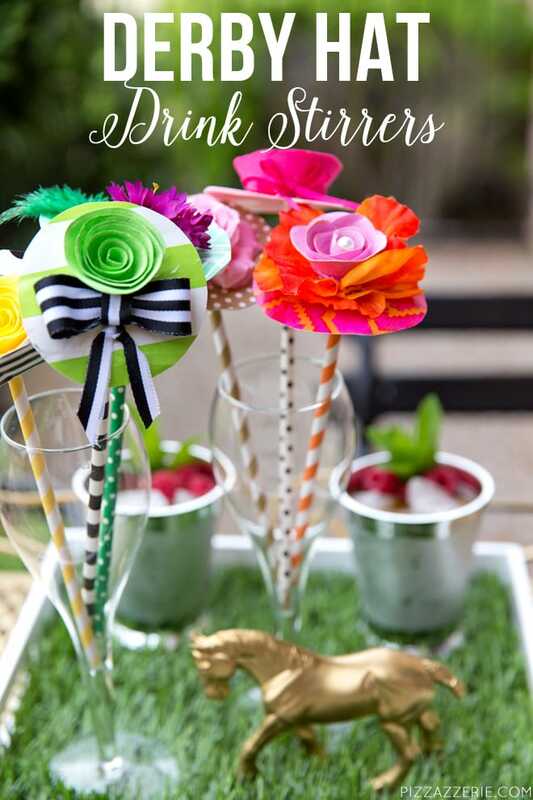 These are free printables and easy craft projects to make your Derby Party Sparkle! 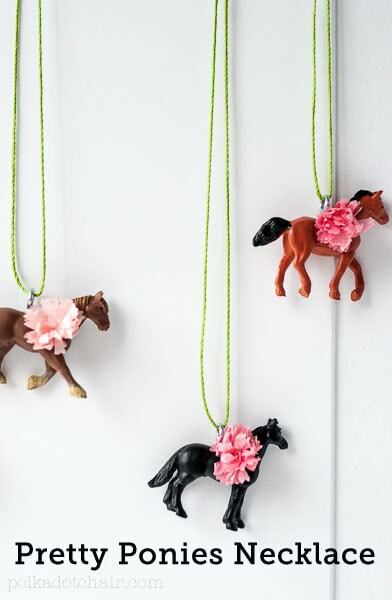 8- Decorate your balloons with horseshoes for good luck! 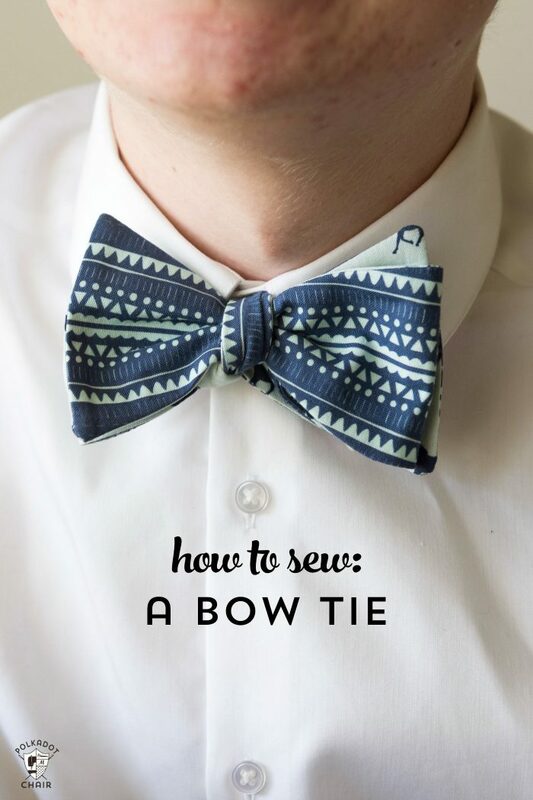 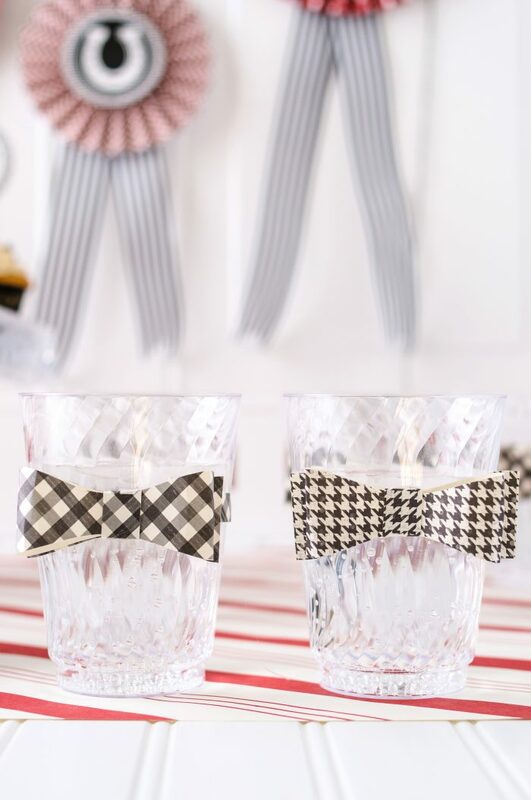 10- Add a fun DIY Paper Bow tie to your glasses -Whether you’re serving soda pop or something more “grown-up” your glasses will be extra dapper with the addition of these bow ties. 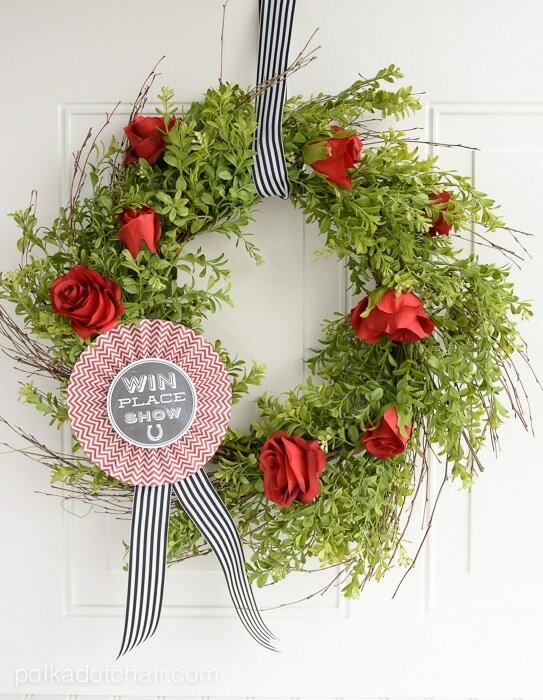 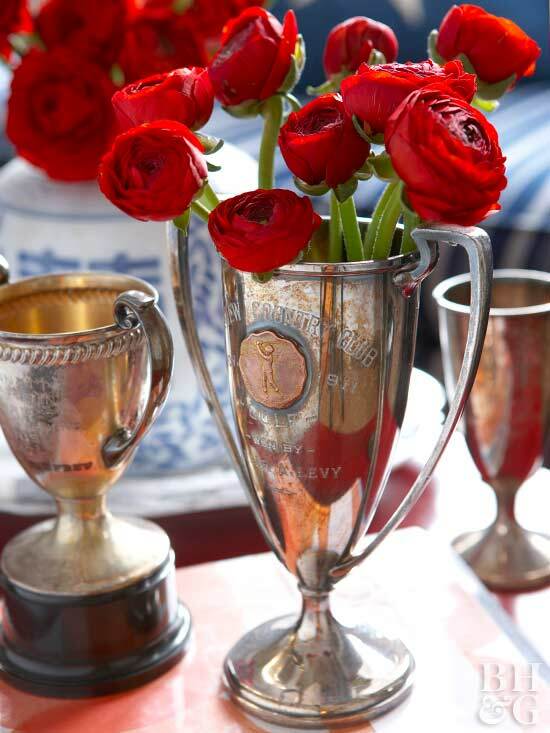 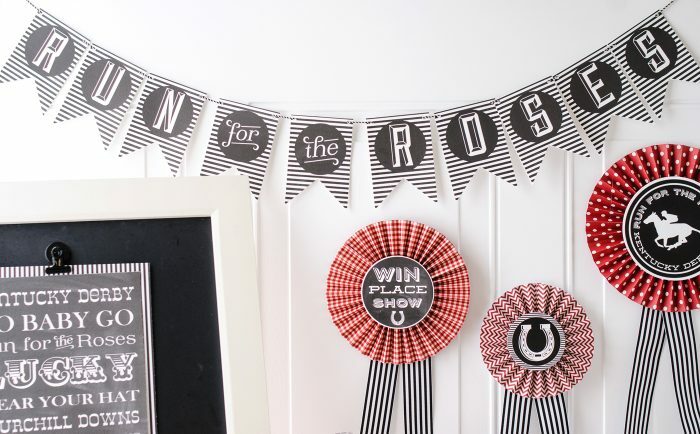 Even if you’re not holding a Derby Party you can still dress up your home for the occasion. 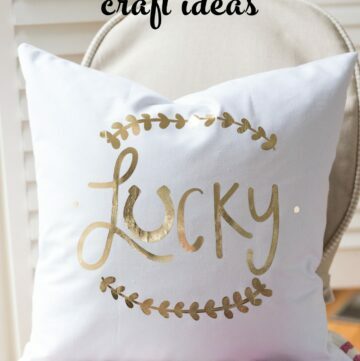 Here are some fun decorating ideas for your home. 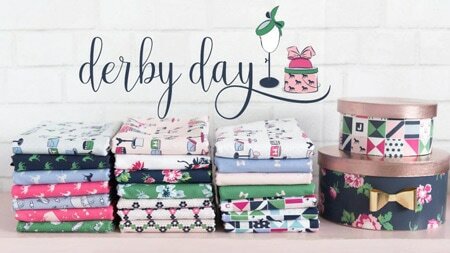 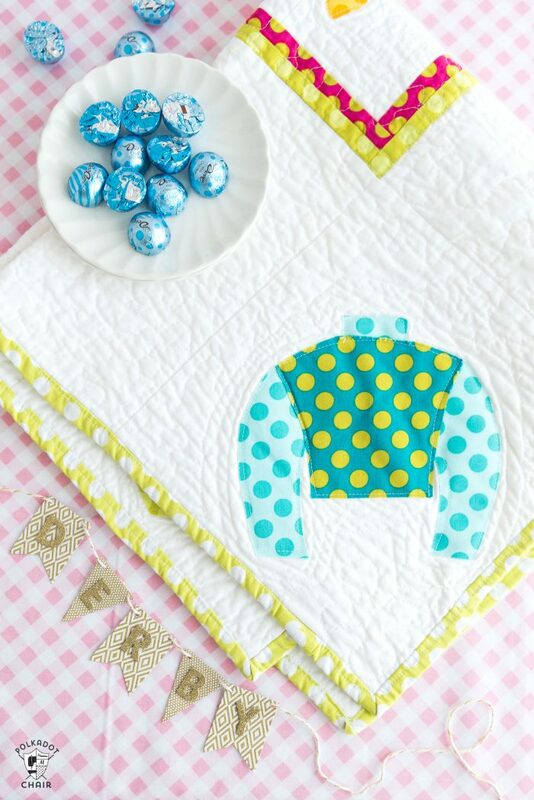 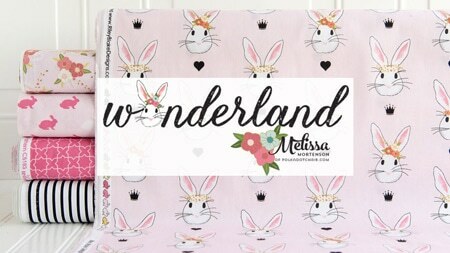 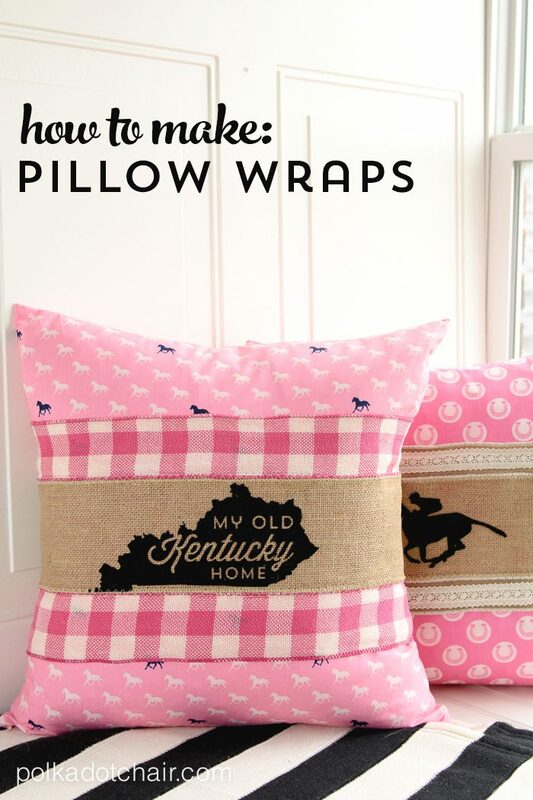 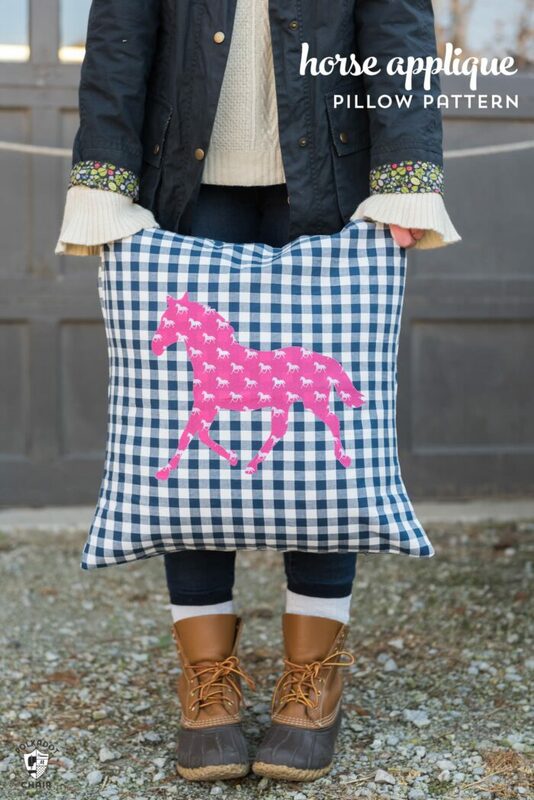 17- Stitch up some Pillows with this fun Derby Fabric! 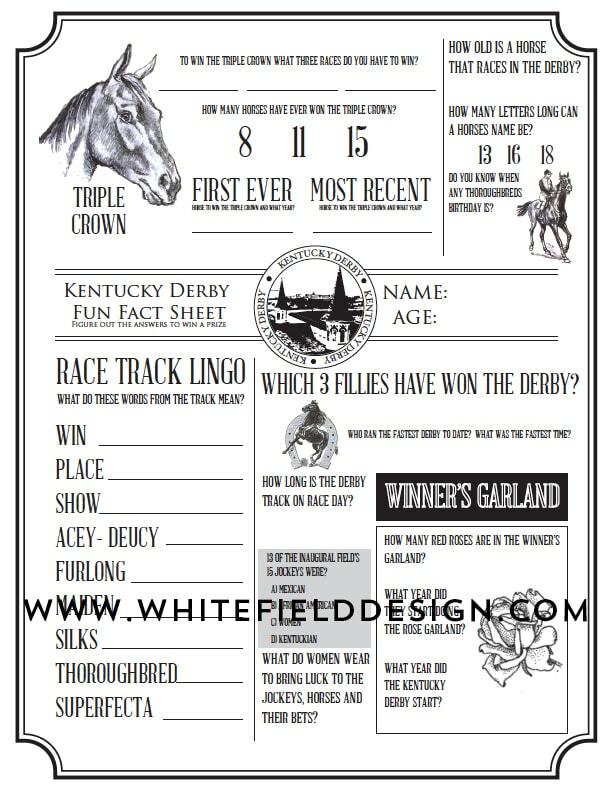 21-Draw Horses from a hat and give out fun prizes to the winners! 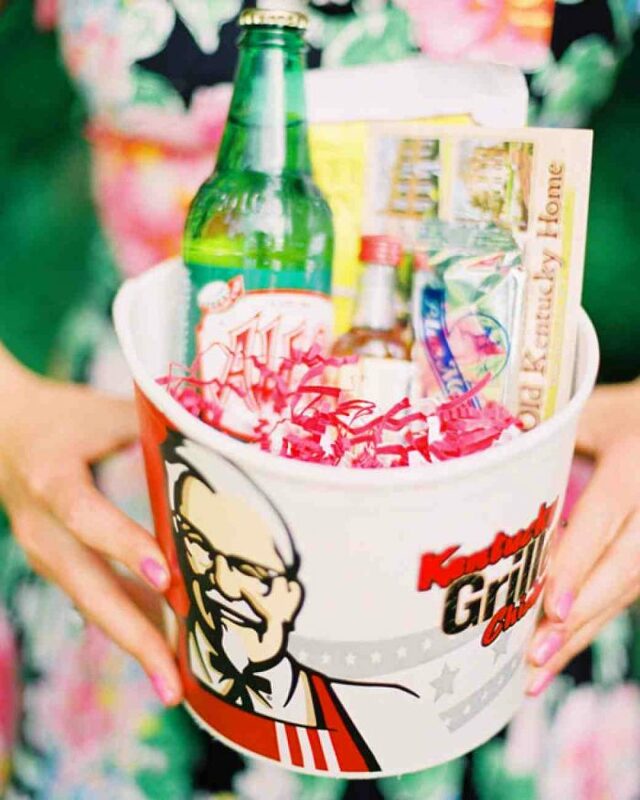 This idea is particularly fun if you’re with a bunch of kids – you can’t beat these Kentucky Fried Chicken themed gift boxes! 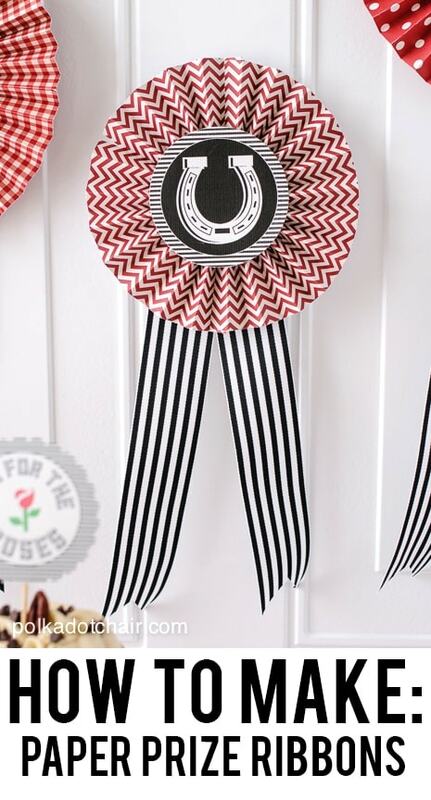 How fun would this be for prizes? 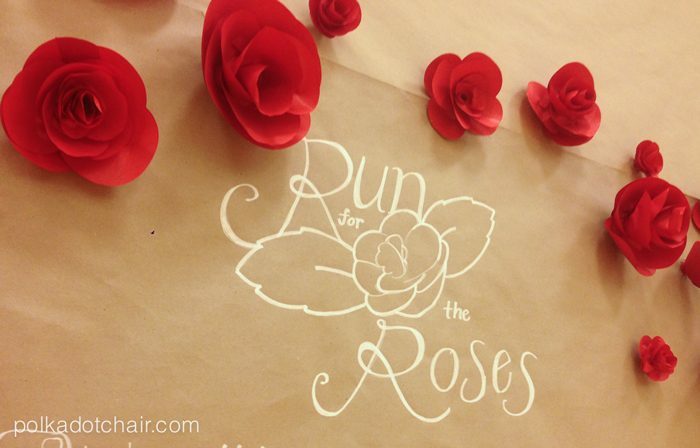 22 Create a Fun Photo Backdrop for your Party with paper roses! 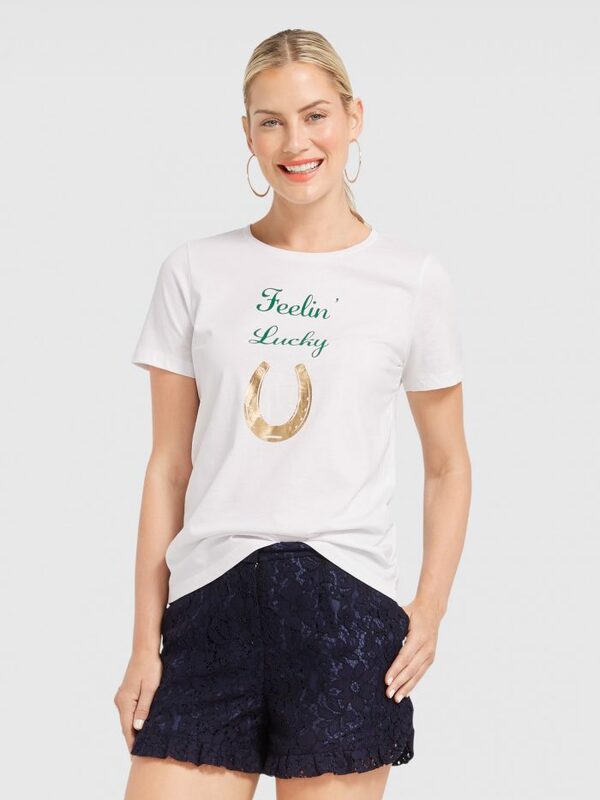 What to wear to a Kentucky Derby Party? 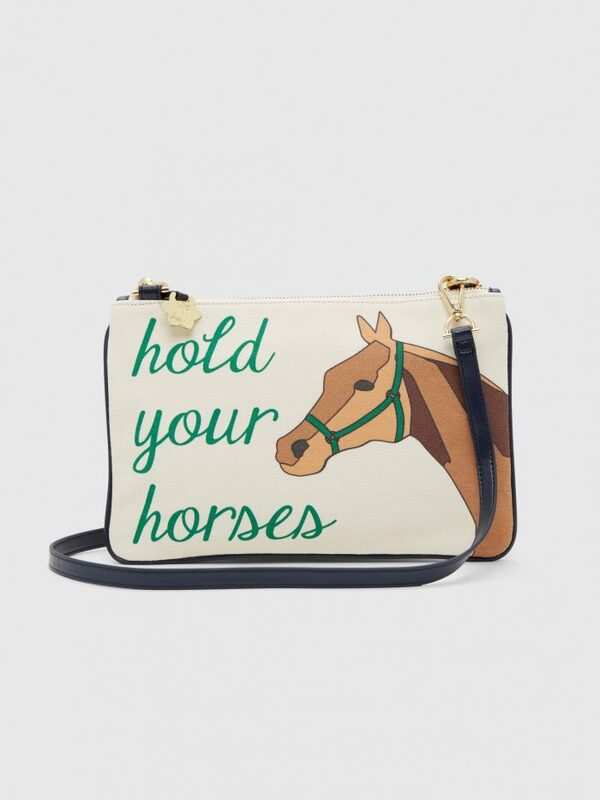 24- Tote this fun Hold Your Horses Clutch with you! 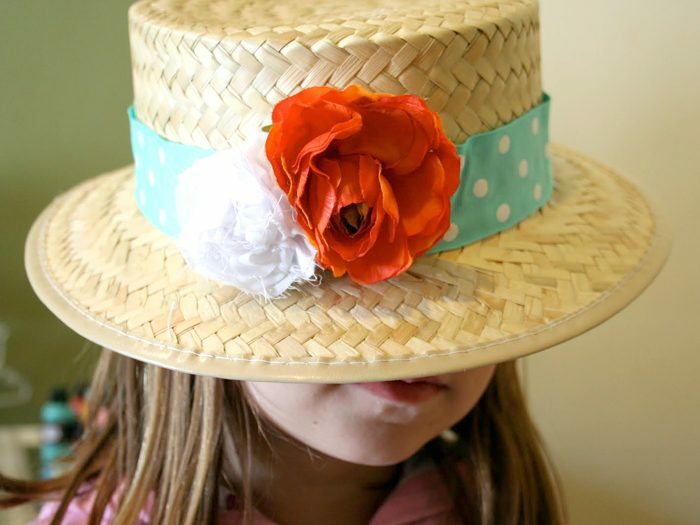 27- Create a personalized hat with this tutorial! 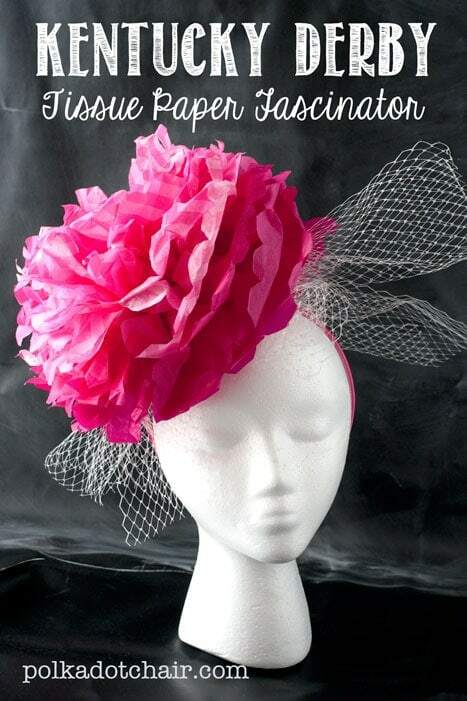 28- This DIY Fascinator made from Tissue Paper is fun and easy on the budget- so perfect for a party where you don’t want to spend a lot of money on a hat!